Before reading Chords of Strength, I imagined it would be insightful and inspiring (and it was) but I never really thought it would be funny! Even though COS was funny in parts, David never lost focus of what he wanted to tell us. And I positively loved when he was explaining the emotional connection between performer and audience, and how he can bring people into the song. That’s exactly what I felt during his performance of “Angels” in Lancaster (the one concert I’ve been to). It was amazing. If he feels what I felt in that one song every time he gets into a meaningful song like that (and I suspect he does), then I completely understand his love for music. I wish I could go back to that place, but I guess I’ll have to wait for another David Archuleta concert. It’s really amazing how deep into the songs he can get, and how he can bring other people with him. I almost think this is a bigger talent (or “gift” as David likes to call it) than his flawless vocals (which, as we all know, is saying something). Although, I loved the whole thing, the part of the book that struck deepest with me personally is when he described how he made his decision to audition for American Idol. Both when he talked about it at the Women’s Conference and when I was reading it in Chords of Strength, it made me cry. I think this is because I went through a very similar experience three years ago, and listening to him tell his story brought back the emotions I felt at the time, when it happened to me. For me, I was in Grade 12 and trying to figure out what I wanted to do with my life after high school. There was this program I was considering where you get your teaching degree at the same time as your undergraduate degree (Concurrent Education), but I wasn’t sure. Like I thought I wanted to be a teacher but everyone else I knew who also wanted to be a teacher seemed more peppy and teacher-ish than I was. I didn’t know if I could do it, and I didn’t even know if I wanted to commit to it with my uncertainty. And I was getting stressed not knowing. So I did what David did; I said a prayer and just told God what I was feeling and asked Him for help. I didn’t really expect an answer but a couple weeks later I was volunteering at a children’s after-school program, cleaning up after the kids had gone on to the next station. One of the adults who also worked there came up to me and said “Anna, have you ever considered being a teacher?” It was out of the blue and I didn’t expect it and so I had the amazing response of “kinda…” and then he said “Well, I think you would be really good.” That was it. I’m sure he had no idea what he had done for me but to me it was an answered prayer. And the emotions that ran through my body in that moment, I relive when David talks about his own story of deciding to audition for American Idol. I could reread that part a million times. I have watched that Women’s Conference video dozens of times. The big difference between my experience and David’s is that I have never told anyone my story before (until now, I guess) and David wrote about his in a book! And I admire him a lot for that. p.s. Oh and I have one last thing I would like to plead to the Universe. If there’s anyone out there with a video of David singing Dream Sky High with the full orchestra shoved in a box in their basement somewhere, could you PLEASE upload it onto youtube? You would be my favourite person of all time. 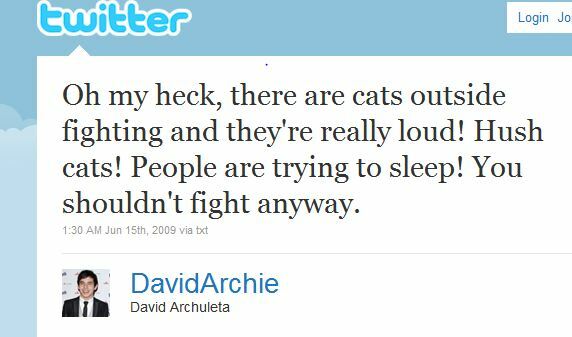 Today marks the one-year anniversary of the EPIC tweet of all tweets, the CLASSIC David rant that was heard around ArchWorld at 3:30 a.m. in the wee hours of June 15, 2009. Now, if you’ll all bow your heads in a moment of silence … KIDDING!!!! 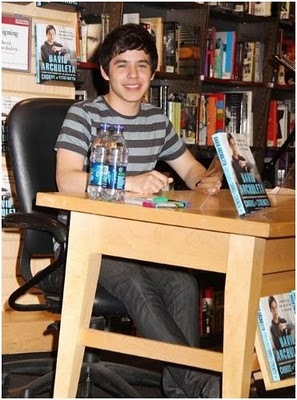 This entry was posted in Book review and tagged David Archuleta best-selling author, philanthropist, singer, tree-planter. Bookmark the permalink. abanana77…It is absolutely refreshing to read reviews from fans who are close in age to David, or even not so close! It is interesting to hear the story about your own career decision making and how the decision came to you. It gives you great confidence when someone notices your abilities. This>”I positively loved when he was explaining the emotional connection between performer and audience, and how he can bring people into the song. That’s exactly what I felt during his performance of “Angels” in Lancaster (the one concert I’ve been to). It was amazing. If he feels what I felt in that one song every time he gets into a meaningful song like that (and I suspect he does), then I completely understand his love for music. I wish I could go back to that place, but I guess I’ll have to wait for another David Archuleta concert.” I had the pleasure of being at that concert too (too bad we did not meet!!!) and I know that experiencing those concert moments are what keeep us wantiong more. 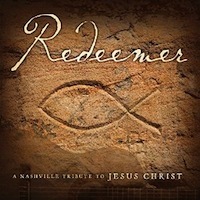 Refnaf – you were at the Lancaster concert! Crazy. Weird to think we were in the same room. Haha. Back then, I didn't really know any other David fans, so I dragged my friend and mom and forced them to go roadtripping with me! Haha. And I agree – David neeeeeds to come to Canada! You are truly a breath of fresh air! ♥ LOVE your take on COS, especially how it related to your personal story. Thanks so much for sharing that. I think the media (and even other fans) often assume that fans close to David’s age only follow him because of his looks or charisma … not really appreciating his music and his depth of character. Sure, David has those fans too, and that’s cool. But I’ve always felt there were just as many “serious” fans David’s age (and younger) as there are more, ahem, mature fans. And I totally know what you mean TOfan, a lot of my friends even think I only am a fan of David because I think he’s goodlooking. I find that annoying because I’m like “Do you really think I’m that superficial to be THIS obsessed over the way someone looks???”. But alas, most of them still don’t understand. abanana77…I’m really enjoying reading the reviews, I hunt for them all over the net. Yours is much appreciated. This part has stayed with me, when I first read this it brought me to tears. You have made a great observation, David has a way of saying things that let you see the great unique person that he is. abanana77 What a great post! I love how you picked up on some very special things about David and his beliefs and feelings, like “I wonder if he likes singing” in talking about his stillborn brother. I think we could have a book club and just talk about COS! I want you to be a part of that! You were in Lancaster? So was I! Yes, Angels was amazing. We have to get you to another concert tho! Let’s hope its in Canada (at least a book signing – are you listening Penguin Books?). Thanks again for your post! abanana – well written and yes he made me laugh too with his dry wit. The range of emotions he illicits in me is amazing when I am in the audience, though I get the same feelings from his first CD, perhaps to a lesser degree. His Christmas album had me in tears, and hearing him sing songs from it in concert – well just let me say that he transported me to another place. I want to tell you how honored I feel to hear your story, thank you so much for sharing it! 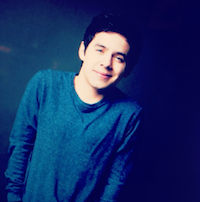 Defeated in the seventh season of American Idol by David Cook, Archuleta went on to release a self-titled album on Jive records that reached No. 2 on the Billboard charts, and a Christmas album in October 2009. He even customized a Christmas singing game for the iPhone and iPod Touch. He has played more than 100 live shows since Idol. This year he released an autobiography, Chords of Strength, and last year toured with fellow teen star Demi Lovato. He’s also guest-starred on Nickelodeon’s iCarly and Disney’s Hannah Montana. I laughed out loud too a few times while reading COS. That part about keeping the Tom cat from his cat during her “time of the month” … I was rolling on the floor at that one. On the other hand, the idea of him being so protective of that cat and the comfort she brought him when he was “lonely” … that got me all verklempt. I found the whole book like that. One minute I’d be smiling or laughing, the next grabbing for my tissues. I guess that sums him up though, doesn’t it? I really view this memoir, much as I do “Christmas from the Heart,” as a mission fullfilled, in and of itself. Both efforts from David are, not gonna lie, PURE LOVE, and are complete packages (GIFTS) that will continue giving long into the future. abanana – I loved reading what touched you in COS. Ever since reading COS I have hoped that young people everywhere would read it – not that us “older folks” aren’t learning a lot from COS too:), but when young people read these words from someone close to their own age, it really speaks to them IMHO. Abanana, Thank you for your heart-felt and touching review. His use of present tense when talking about his still-born brother also startled me. Perhaps because it reveals a bit of how he looks at life and death? I was in tears throughout the book in unexpected places, and this is one of them. Today is the Hush Cats anniversary?!? WOW, that did not seem like a year ago! Hahaha. Pastel – yes I am going to the next David concert I have the opportunity to go to. It has been wayyyyy to long. beebee – THIS “I can’t help musing about some who MAY buy the book and dive in thinking they’ll get some sort of tell-all mess…and emerge feeling completely LOVED and raring to generate some of that divine vibe in their own environments. :)” is perfect. People expecting a tell-all will be quite disappointed. But I’m with you I hope they come out of it happier and inspired to do good. Thanks to everyone who wrote nice things! <33333333 You guys make me so happy reading your comments I am about ready to explode! So true. The world would be a much better place if we all take a little of David and his kind and generous spirits with us as we go about our life. Abanana – by your account, David has succeeded once again in reaching out to his intended audience. If I remember my own youth correctly, people in your age bracket, with so much promise yet so much uncertainty, are in the period where they are most sensitive and vulnerable. And life during my time was much simple! So am glad that we have a David who takes the time and serious effort to engage people his own age and still connect with the rest of us. See how Manila loves our guy! 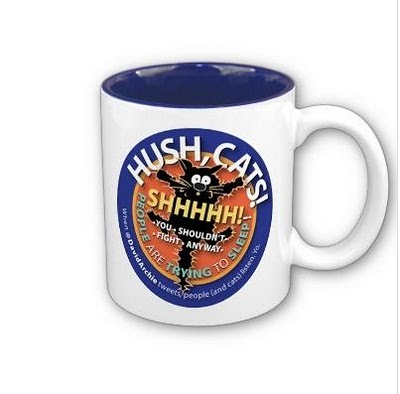 BEEBEE – I didn’t know you were the designer of the hush cat mug! That is soooo cute! I’m 24 (does that make me old compared to David?) and I’ve learned way more from David than I have ever learned at school. STILL haven’t received my COS, so I can’t really say I’ve learned anything from it, though I know I will. I would like to enter @gabydunn! I just HAVE to have one of BeeBee’s mugs…. That hushcats pic is classic!!! I’ll pay! I’ll just take it out of the COS extra books/VIP/concert/ anything else David fund. pastel, “anything else David fund” lol. Pastel – “I’ll just take it out of the COS extra books/VIP/concert/ anything else David fund.” PLEASE not so loud, by hubby might hear! “anything else David fund” lolol … mine’s actually pretty full … until, gulp, CD/tour time! (((JR))) Manilla does love him! Hmmm, I need to start my “anything else David fund” all over again! TOfan, I have not looked at my local bookstore for CoS yet….need to do that, soon! Really enjoyed reading the comments here, there is just so much you can say about the book! Reading David’s book , like the rest of you, was pure delight and joy for me. There are so many quotes by David in the book that just made me stop and think..this is coming from a 19 yr old young man. I could only think that David has learned and realized in his 19 yrs of life, so many important principles in life and he applies them well. I can honestly say that he knows and understands more at his age than many people come to know in their lifetimes. He is a pretty wise and wonderful young man. “And remember, even if you can’t sing, you can always plant a tree”…. Thank you David, I was never very musical but yes I can plant a tree! Even the acknowledgments in the back of the book were very heartfelt. The last paragraph for the fans…..well, pretty wonderful. 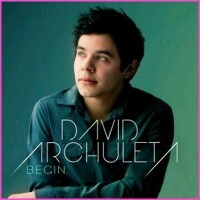 Interview with a Rexburg radio station … reading between the lines, it sounds as though David might be doing some music Sat. night. Oh. My. Gosh. ahahahahaha, yes, NEW music … I was so excited I forgot to add that small detail! SPOILER abanana, I’m commenting on the interview. Was David munching something throughout this interview? awestruck, it did seem like more of a conversation … I think the interviewer def. set the relaxed tone, like they were just chatting. Cool. “How old were you when you won American Idol?” LOVE it!!!! abanana77: Really enjoyed reading your review and coming from a younger perspective (as opposed to my older perspective) you really captured some touching points. Loved how you related to it and were inspired by it personally. I think David will accomplish what he intended with the book (think he already has). Loving the recent interviews and I thought in one of them David sounded like he was eating something too….had visions of him sucking on a piece of fruit! Tofan I love that slip up by the DJ too…”How old were you when you won A.I.”, ha. The Rexburg concert should be a pretty special one. I just may have to try and listen to a sincere but somewhat “crappy” cellcast! Appreciate it all though and I really hope that some wonderful fans will feed us all with a few awesome videos! “seems more comfortable talking about being LSD; really feeling comfortable with the interviewer”. Ha, I know of course that you meant LDS but made me laugh, thanks. Lucky Rexburg peeps – they get to hear new music (my guess: IICOB) and they get personalized signed COS – gaaaaaaaahhhhh! 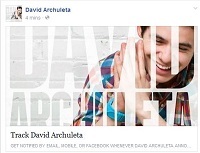 Anw, am really liking the pace and depth of David’s book promo. Feels like there is a team behind on this one. It has 33 videos, so far – just for his media function alone! TheArchulator has been pretty busy!